There are many benefits to living in shared spaces, especially in highly populated urban areas, where space has a high premium and the toll on the environment is concentrated. 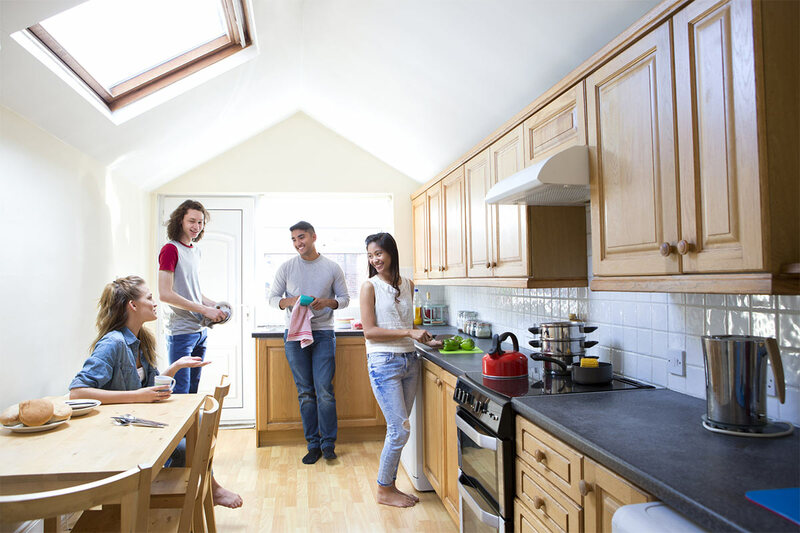 The benefits of so-called coliving are far-reaching, which is why the movement toward sustainable living and limiting carbon footprint has welcomed these initiatives. It is vital that our generation understands the role we play in ensuring that future generation will not suffer by taking measures to offset global warming and combat poverty. Coliving projects comprise individuals and families which intentionally share facilities and communal spaces with one another. The concept of coliving, or cohousing as it is also known, is making the most out of less, through collaboration. In direct contrast with society’s current model of ‘more is more,’ shared living spaces aim to tackle global issues by making changes in the community level. My making small but measurable changes, a large impact can be made. There are a variety of ways in which shared spaces contribute toward healing the environment. A very big appeal in shared living spaces is that it saves money in a variety of ways, starting from the very building phase. Eco-building coliving projects are extremely cost-effective, with materials being purchased in bulk, and less overall land being required, pushing everyone’s share of the cost down. Aside from materials, labor costs are also minimized when communities chip in. This encourages what is known as a sweat equality, and encourages a mindset which puts the community first, as opposed to the individual. Shared living help cut back wasted energy by pooling utilities, tools, appliances, resources, vehicles, and skills to reduce their collective impact on the environment. Examples of great community energy projects where people work together are carpooling, babysitting duty rosters, bulk meal planning and preparation; there are many ways to reduce the amount of energy each individual consumes and the carbon footprint they leave behind. Group ownership also keeps everyone’s maintenance costs down. Even energy generation can be optimized with a communal mindset; some cohousing projects are heated with one big singular wood chip boiler. Such district heating systems are more energy-efficient than many smaller individual are on their own. Communal living with the intention of protecting the environment brings people together, encouraging them to find innovative ways to collaborate, which has many personal and social benefits. Most cohousing projects are founded on the concept of democracy, encouraging a group mentality, where all members of the community have equal control over the living circumstances. This sense of community and mutual support has been scientifically proven to improve the health and well-being of all involved. In the same way, sharing all these resources and living spaces encourages intimacy and bonding among the members. Communities which are planned with health and fitness in mind even encourage walking and other eco-friendly alternative modes of transport.